Photo of Serge Pauwels by the A.S.O. Serge Pauwels has signed a contract with Continuum Sports, currently known as BMC Racing Team. The Belgian is set to be one of the most experienced riders in the squad. The rider makes this move after being four seasons at Dimension Data, the team in which he won the 2017 Tour de Yorkshire. 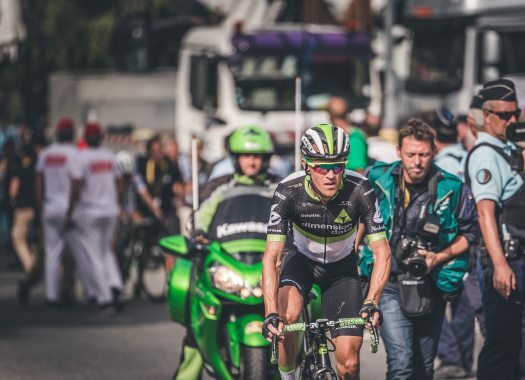 "Serge Pauwels is an excellent addition to the Continuum Sports roster in 2019," said the team's General Manager Jim Ochowicz. "The classics will continue to be a big focus for us and Serge's experience at Liège-Bastogne-Liège and Il Lombardia will be invaluable. "Throughout his career, Serge has also demonstrated his versatility in stage races, including a victory at the 2017 Tour de Yorkshire and third place this year behind Greg Van Avermaet, as well as Grand Tours, where he is often racing aggressively in breakaways as we saw at the Tour de France." Pauwels is looking forward to joining Greg Van Avermaet in the team after being teammates when he took the Gold at the Olympic Games od 2016. "I was not really looking to change teams," he explained. "I had four great years with MTN Quebeka and Team Dimension Data and the Qhubeka charity will always have a place in my heart, but then this opportunity came along and I felt like I had to grab it. I have only been teammates with Greg twice with the Belgian national team and of course, the most important one was the Rio Olympics where we were roommates so we both carry a really nice souvenir from that. "Even though we have never raced on the same team we are good friends, so I'm excited to finally race together. Greg is not only a great rider because of his palmarès but also the way he races."